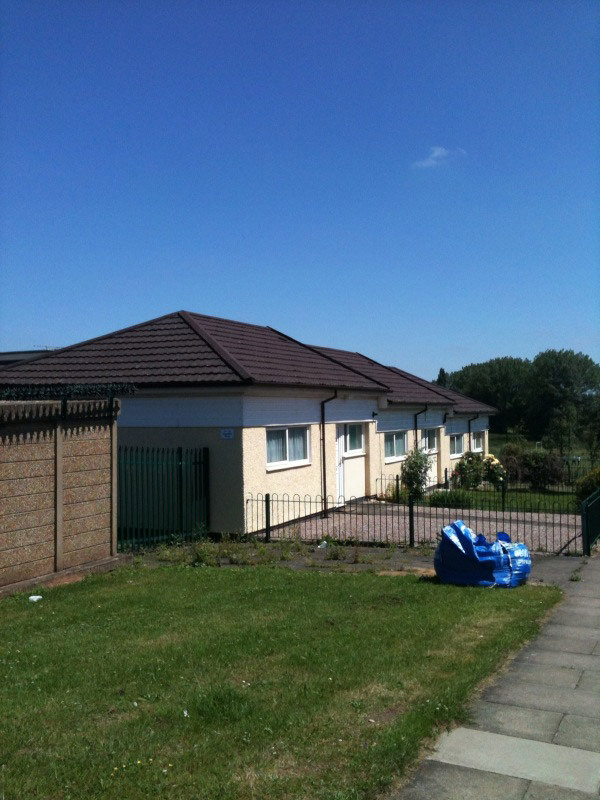 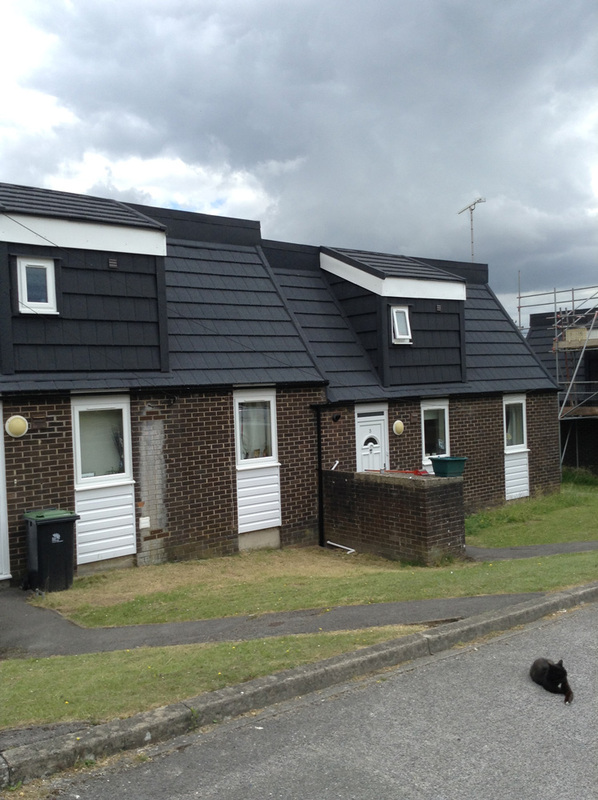 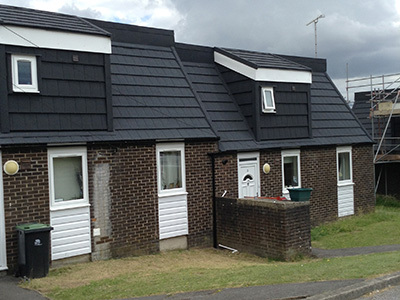 Britmet Lightweight Roofing Lightweight products came about in 1976 due to the non-traditional housing market (BISF Houses) demanding a more aesthetic tile appearance, in lieu of the Asbestos and Tin sheeting being provided at the time. Britmet Lightweight Roofing was required to produce a Pantile sheet appearance, capable of being fixed to steel purlins @ 1.2m centres to give a minimum pitch of 5°, to be capable to take light and heavy foot traffic, easy to handle, quick to install, cost effective and fully dry fix system made in Britain. 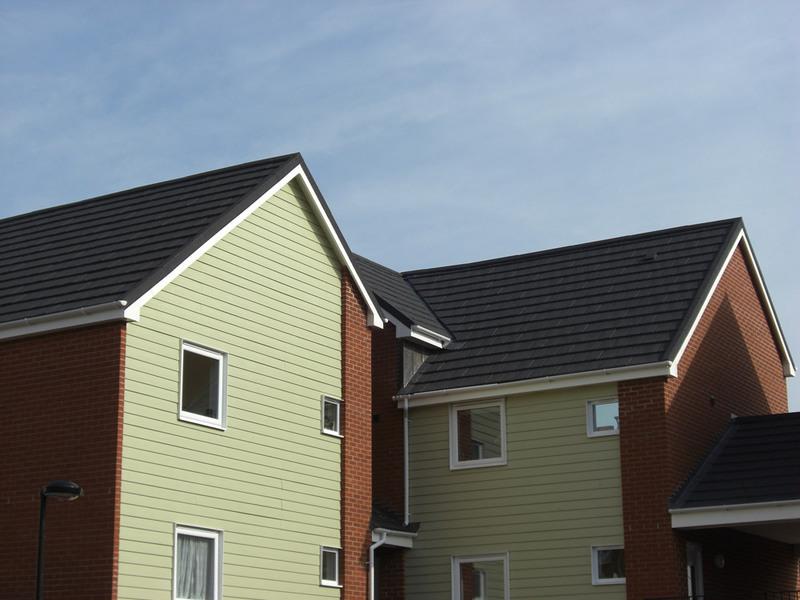 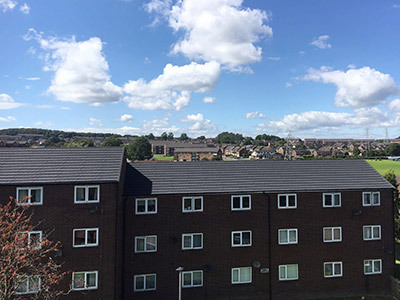 By the end of 1976, Britmet Tileform produced its first eave to ridge tile effect Pantile profile, which was coated in a granulated roof finish and was ideally suited for housing and non-traditional lightweight roofing projects. These are available in 2 coatings, in 12 colours. Things have moved even further with our new steel Slate 600 x 600, double format Slate and our new Recyclable synthetic Slate and Ridge/Hip system, now available. 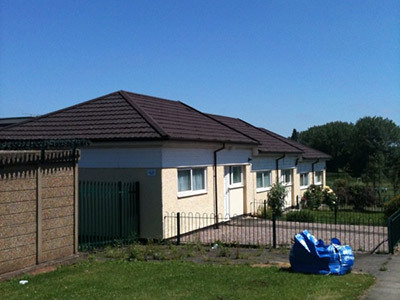 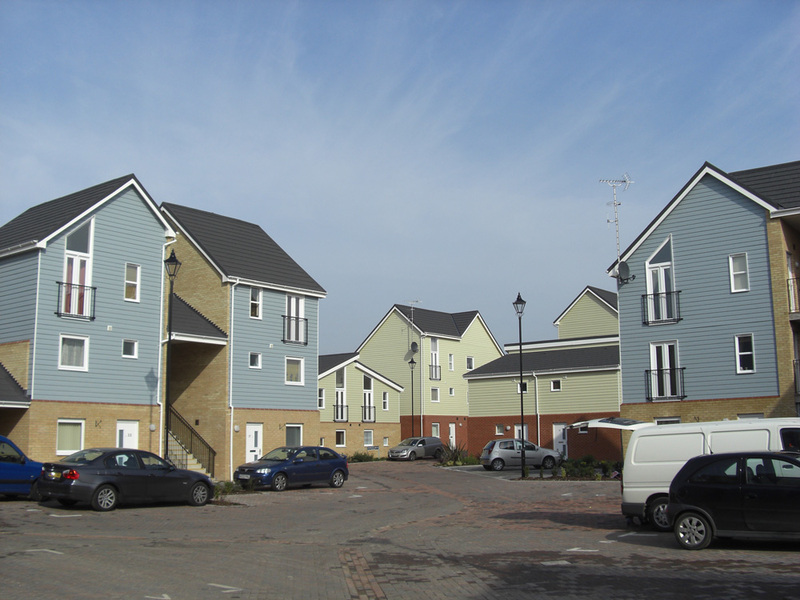 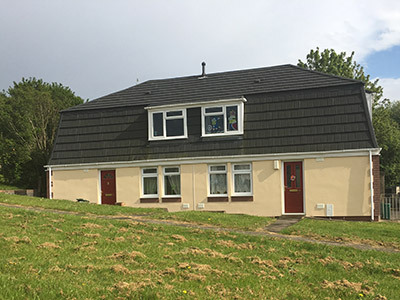 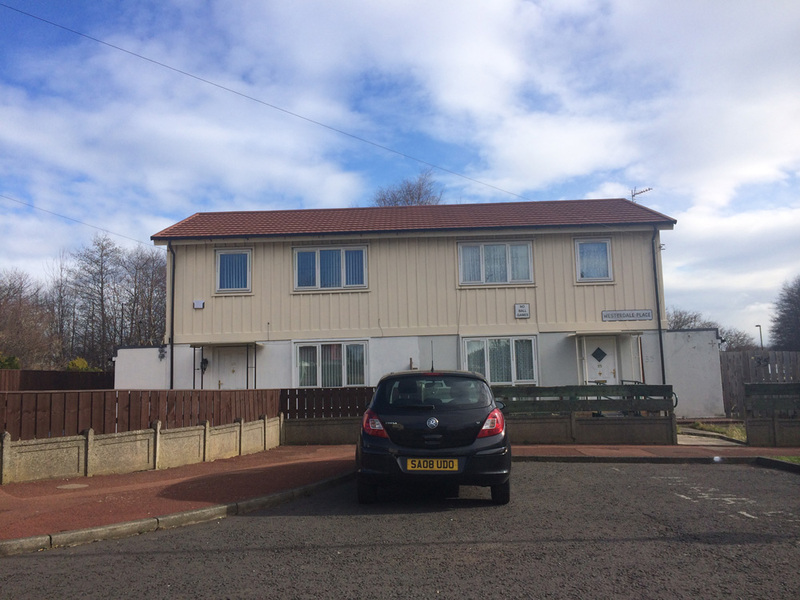 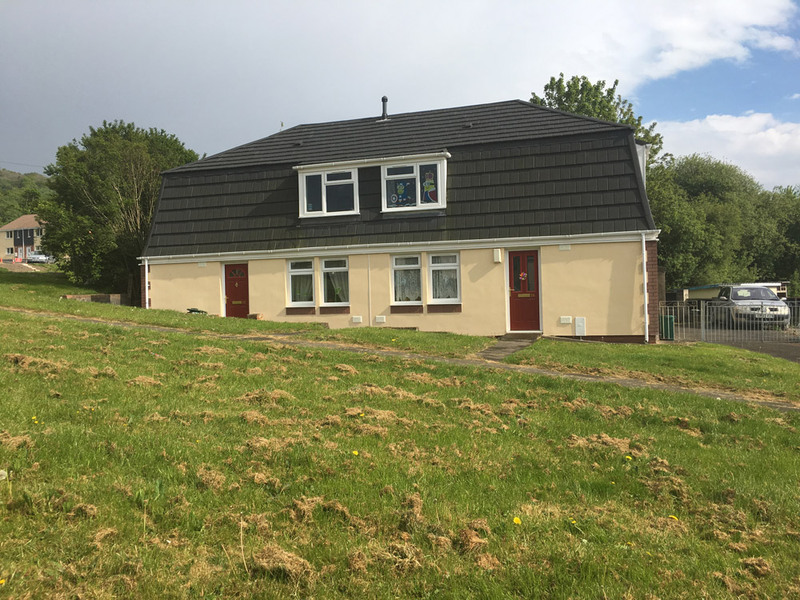 Starting with the non-traditional housing market, we have quickly moved onto many different housing types including New build housing, Modular housing, Chalets, Park homes, Lodges, Timber and Steel framed units, which are now being used on many flat to pitch roof conversions on blocks of flats and roof top units where we are extending up on an existing block of flats, given one more storey, allowing more accommodation units to help with the population demands. 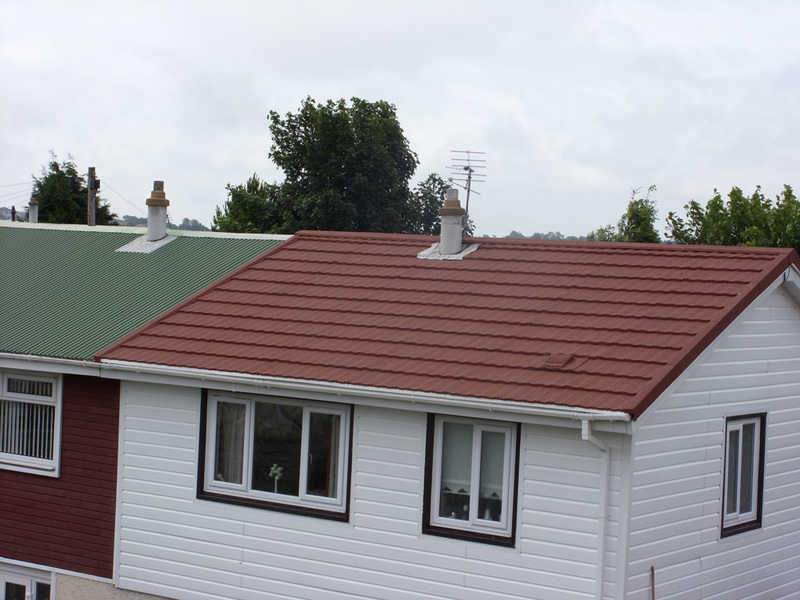 Britmet Lightweight Roofing lightweight roofing provide a strong and secure roof, with a great aesthetic appearance, all to suit British profiles, available in a range of colours, allowing client to match any surrounding areas or their own home. 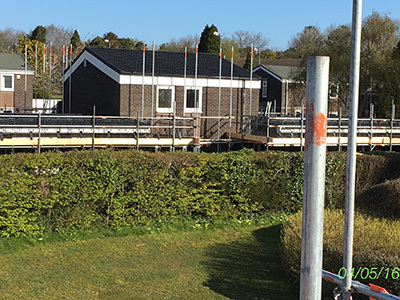 We provide technical details in the form of drawings, installation manuals, “how to” installation videos, NBS and BIM downloads, all to aid the specifier to the DIY’er. 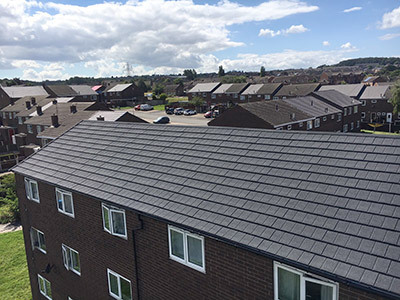 Britmet Lightweight Roofing roofing produces less noise during heavy rainfall than heavy concrete tiles, available in a cut to length system, using our Pantile 2000 and our panel systems, which is equivalent to 8 traditional tiles wide and one high, giving great speed of installation. 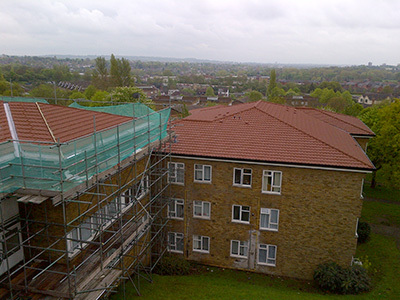 Available in a 0.45mm and 0.9mm thickness, to allow for light and heavy foot traffic roof areas. 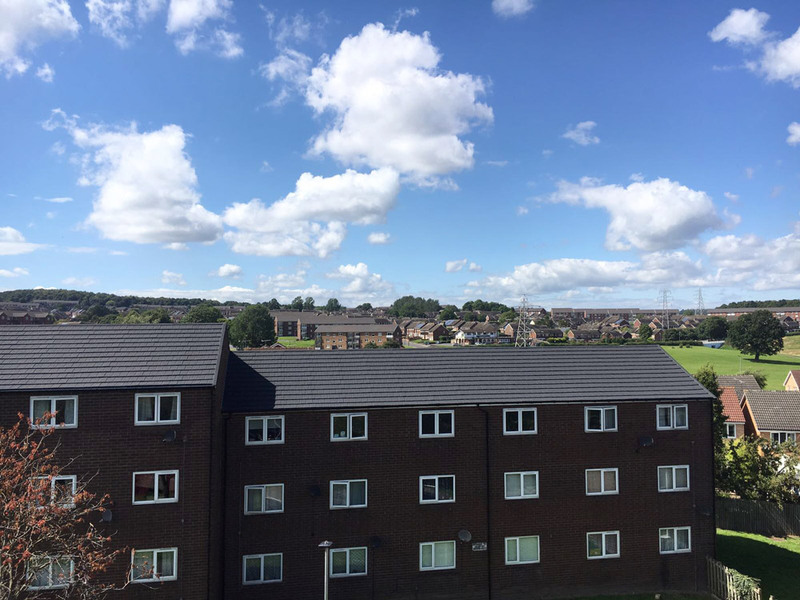 Less wastage, no breakages, no cracking, no tile slipping, all value engineered to give you the prefect roof solution for all your building types. 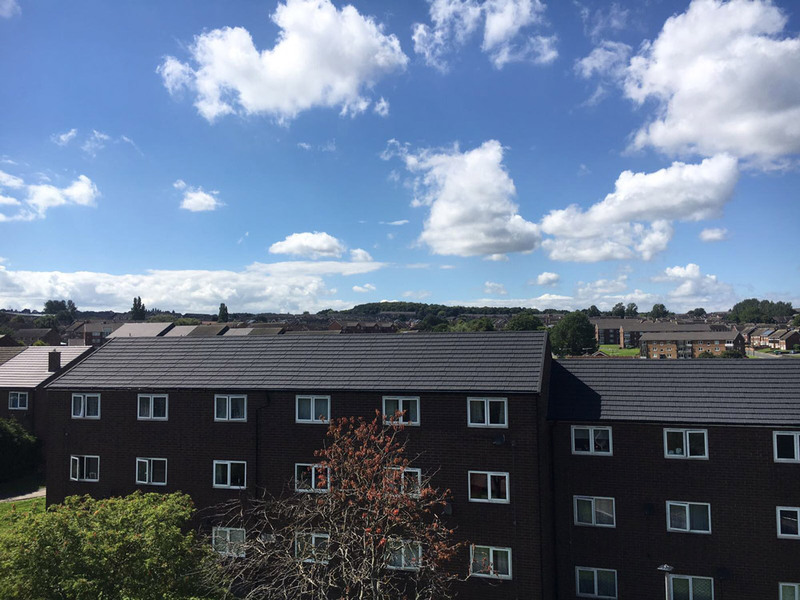 Why not contact us today on 01295 250998 or contact here for free technical advice, quotations and information on how you can benefit from a new roof with Britmet Lightweight Roofing.